The JW Bad Cuz is an interactive rubber dog toy with little feet and devil ears. It is easy to grab and throw and squeaks for added fun. 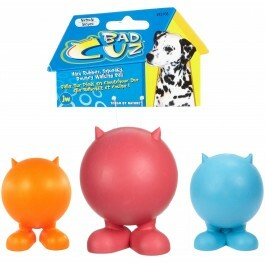 Made from hard natural rubber with a formidable bounce, contains a tough squeaker.